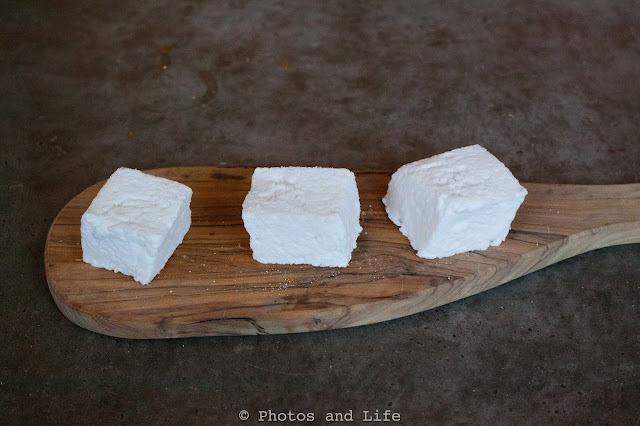 I have been wanting to try to make marshmallows for a long time. Its been one of the things on my list that I have never really gotten to until this weekend. I have been working on a super secret project that I will reveal around the Holidays and I needed to test recipes for Rice Krispy treats. I went to my local small grocery store and what do you know they were completely out of Marshmallows (as in not a single package anywhere --- I went searching). I then stopped by two local deli's and they also had nothing so I decided to turn lemon's into lemonade (or in this case sugar into marshmallows) and try to make them myself! This was the best happy accident, because after this first batch I have vowed to never buy store bought again. 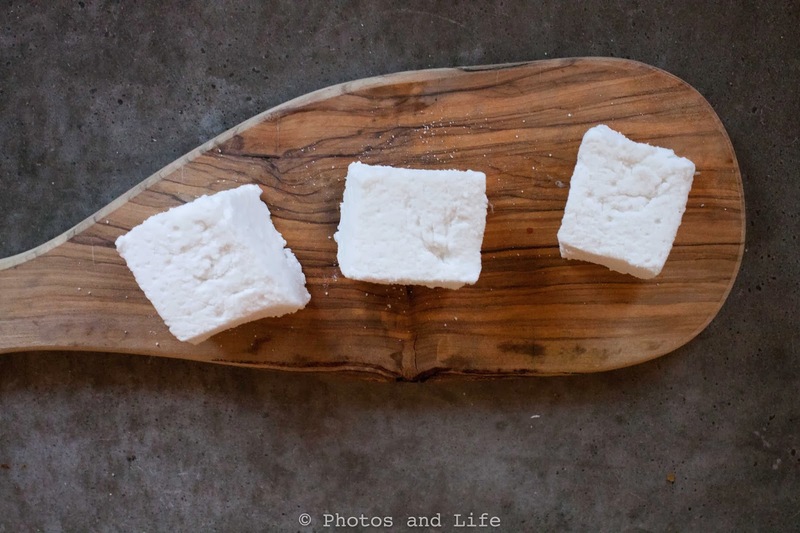 They are so soft, fluffy (almost like little pillows) with the most sweet vanilla flavor. If you had a birthday this weekend and/or you sit near me at work you may be receiving a few of these fluffy sweet treats tomorrow! I also made this delicious hot chocolate mix (its totally divine). 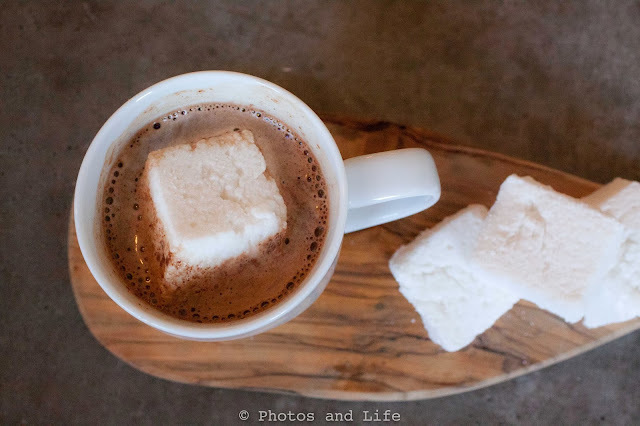 I was looking for a vessel to showcase these beautiful marshmallows and on a cool brisk fall day hot chocolate just felt right! This recipe is SOOO easy and SOOO decadent. Enjoy ---- with hot chocolate, s'mores, rice krispy treats, alone...whatever you fancy you will LOVE them!